that Shane McConkey has a wife and daughter, will he still BASE jump? themselves, formed his love of mountains at an early age. 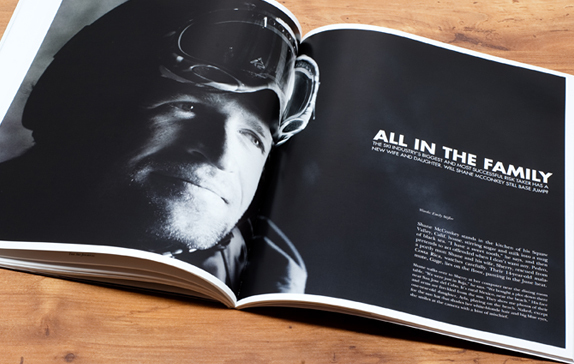 “Shane McConkey stands in the kitchen of his Squaw Valley, California home, stirring sugar and milk into a mug of black tea. “I have a sweet tooth,” he says, and then pretends to be offended when I don’t want any. Pedro, a portly mutt Shane and his wife Sherry rescued from Costa Rica, watches Shane carefully. The fourteen-year-old malamute Gage lies on the floor, panting in the June heat.